We can’t stress enough the importance of video and its pervasive use in today’s media landscape. Aside from the sharing benefits and vast potential online media pickup, video creates stronger bonds with key audiences. It’s why we love movies so much. There’s no other medium that produces the same visceral effect. Publicly traded companies are starting to realize this trend. Early adopters are using this medium to complement quarterly earnings, embedding video links in press releases as we did for our client (see above), Kirkland-based Market Leader, Inc. (Nasdaq: LEDR). Done right, videos that accompany press releases of all kinds should be news driven versus corporate slick, delivering more authenticity that is designed for viral uptick. Other companies that have used video for earnings include Dell, Citi, BASF, and InterContinental Hotels. Leveraging video to communicate financial results can be quite daunting however, especially since these platforms are relatively new to investor audiences. While the SEC’s Office of Compliance Inspections and Examinations offers guidance on the use of social media for investment advisers, the bottom line boils down to best company judgment, and of course, input from counsel. Professional investors are watching too. According to a study, 58 percent of institutional investors and sell-side analysts in the U.S. and Europe believe new media will become more important in helping them make investment decisions. There’s no doubt that using social media to communicate to investors remains a fairly prickly topic among CEOs and the investment community. The reality is that more Fortune 500 companies are blogging, tweeting and utilizing new media platforms to communicate to key audiences in ways never before. Moreover, engaging in video builds social capital, a valuable network that ultimately enhances reputation, and we believe shareholder value, too. There was a time when most investor relations professionals had either financial journalism or public relations backgrounds and applied their specialty communications skills to publicly traded companies. Then there was a wave of IR executives entering the field with finance, investment banking and analyst backgrounds. What such backgrounds may have lacked in writing and mass communications skills typically were offset by technical financial acumen. Now, yet another new surge of IR professionals is surfacing as Roger Pondel reports in a recent bylined article for NIRI’s IR Update titled, “The Road to the C-Suite.” Pondel also points out in the embedded video that these new IR folks not only have the financial chops, but are equipped with the necessary DNA to understand the more complex world of today’s media. While today’s new-wave pros typically are on career tracks in IR, those who entered the field from financial roles may well be headed back to their roots. But no worries, in many cases, they are traversing the path to becoming CFO. we first blogged about these new guidelines going into effect. On the positive side, last year nearly all companies had their executive pay plans approved by at least a majority of their shareholders, according to a recent research report from IR Insight in a survey of 181 companies. Moreover, the vast majority of the companies received a “yes” vote from 70 percent or more of their shareholders on their executive pay plans. With only two companies surveyed receiving a majority of “no” votes, Say on Pay is nevertheless not lessening in importance. “Egregious pay packages are by and large a thing of the past,” according to Robin Ferracone, a consultant with Farient Advisors, an independent executive compensation firm. Ferracone believes that investors were “forgiving” last year. She said institutional investors are set to grade companies’ pay plans “a lot harder” in 2012, although if companies’ performances and the markets improve, investors may not question executive pay much at all. 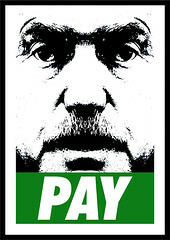 Narrowly approved pay plans may not be out of the woods. Modest changes to the investor base could put these companies in jeopardy of receiving enough “no” votes to reject the pay plan. Executive compensation experts advise corporate secretaries and investor relations officers to contact top holders at these companies to learn about investor concerns, and either explain the purpose of the questionable provisions, or modify the plan. determined. They want to see companies disclose how they have appropriately aligned performance with pay. Ferracone believes this means more use of objective criteria, benchmarking and third-party diagnostic tools. Finally, the SEC has delayed until the second half of 2012 the final rules on a number of pay disclosures under the Dodd-Frank Act. Ira Kay, managing director at Pay Governance, a firm that provides independent executive compensation advice to boards, says the “pay versus performance” disclosure rules are difficult to craft, and the SEC may get ideas from companies tackling the issue on their own. We’ll soon see. A recent study by GMI Ratings showed a $215,000 disparity between the salaries of male and female CFOs. CFO Magazine noted that the study looked at several factors that impact CFO pay, including company size, market cap, age and tenure in the position. Total average compensation for the men, including salary, bonus, and stock awards, was $1.54 million versus $1.32 million for women. Why do women earn less? Is gender discrimination at play? One of the study’s authors surmised that, “It is possible that women are more likely than men to advance through promotion from within a single company. Many firms tend to pay more when making outside hires, which could lower women’s compensation levels.” The report also cited possible shorter work histories for women, even when they are the same age as men, because they are more likely to interrupt their careers to raise children. SteveTobak, a consultant and contributor to CBS, has some ideas of his own. He believes that, among other things, women and men may not negotiate in the same way and that compensation is a complex discussion at the CFO level. He also noted that women and men may not be similarly motivated by the same factors, with women weighing non-compensation factors such as work flexibility, security and benefits more heavily than men. Based on 2010 census data, Bloomberg recently reported that the six jobs with the largest gender gap in pay are in the financial sector, with women earning 55 to 62 cents for every $1 made by men. However, it appears the gender gap is starting to close with the median-pay disparity for all occupations at 77 cents for every $1 earned by men, an improvement from 61 cents during the last 50 years. Whatever the reason for the inequality, the debate about why it exists rages on. While on the surface it certainly seems that men and women should be paid the same for the same job function, there are clearly many factors at play. If you’re a woman who wants to earn more than your male counterpart on Wall Street, Bloomberg recommends (tongue in cheek, of course) that you set up a shoe-shine stand in Lower Manhattan. Female personal care and service workers earn $1.02 for every $1 made by their male colleagues. Go figure. On this, the first business day of the second quarter of 2012, everyone seems to be writing and talking about the spring in this year’s early spring. No, not the weather, but the economy and how, this time, the rebound finally seems real and sustainable. In early 2010, we, and most others, thought things were turning around. We even asked our landlord about the two vacant offices adjacent to our suite in Century City. Glad we didn’t sign on. Then again in early 2011, the economy once again appeared to be heading in the right direction. But, alas, hopes were dashed, and it stalled again. Today, it not only feels different, but the facts seem to be saying so, too. Jobs are being created and unemployment is falling. According to our client, Greg Palmer, CEO of staffing industry advisory firm Greg Palmer and Associates and his Palmer Forecast™, the use of temp help among businesses throughout the nation is on the rise, one indicator that good things are in store. Last week, nine companies went public, the most IPOs in one week in more than 15 months. More than 200 companies have filed with the SEC and are waiting in the wings. The two reasons, according to Surowiecki, are autos and housing. Pent-up demand for autos is morphing into active demand. Our client, the nation’s largest wheel manufacturer Superior Industries, is operating at near capacity. And client Autobytel just recorded its first full year of net income since 2004 fueled by many positive changes within the company but also buoyed by the industry’s recovery. New car sales fell from a pre-recession annual peak of 17 million to just over 10 million in 2009. The seasonally adjusted annualized (SAAR) forecast of new car sales for March is estimated at 14.3 million, down from last month, but up from 13.0 a year ago and the highest since August 2007. As to real estate, things look better there, too. PondelWilkinson client Market Leader, which provides more than 100,000 real estate professionals throughout the United States and Canada with online technology and marketing solutions, delivered 39% revenue growth last year in what can conservatively be labeled a challenging, aka, stinky, environment. The latest National Association of Realtors forecast predicts that existing home sales and prices, along with new home sales and housing starts all will be up for 2012 and will rise even more in 2013, with continued low (but climbing a little next year) mortgage rates. The 2012 first quarter was outstanding in the stock market as well, to the tune of 900 points on the Dow. In fact, it was the best Q1 for the Dow in 14 years and the best for NASDAQ in 21 years. So welcome to Q2. Let’s all do our best to keep the momentum going and not let the media pundits in yesterday’s newspapers, television shows and blogs dampen our enthusiasm with their commentary about the prospect of a slip and the anxiety that is creeping back into the markets, as New York Times’ Nathaniel Popper and others believe. After all, yesterday was April’s Fool day. By most accounts, the JOBS Act will likely become law and the rules for new issues should help to streamline and ease the IPO process. Yesterday, the Senate passed he Jumpstart Our Business Startups Act (JOBS Act) (73-26 votes) with broad bipartisan support. Its version of the JOBS Act will require approval from the House of Representatives (remember that a few weeks ago the House voted 390-23 in favor of a similar version of the law), after which it will go directly to President Obama’s desk for signature. The White House has previously endorsed the legislation. provide transitional relief for some companies up to five years from more costly requirements such as hiring an independent auditor. Those supporting the bill believe it will encourage small businesses to grow and hire more workers. Further streamlining the IPO process enables companies to gain access to needed growth capital to fuel their expansion needs. Reducing red tape should give an added boost to entrepreneurs seeking to launch new business start-ups, but it also could spur others to illicitly benefit from less stringent rules at the Securities and Exchange Commission. While this should be viewed as a positive step forward, it also reminds investors of all stripes to carefully seek out and read all company filings before laying down the green. Economists persuasively argue that greed encourages effort, discovery, invention – it motivates us to take risks, come up with new products, enter new markets and make enterprises more efficient. 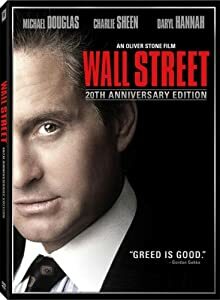 Soon after the memorable line, “Greed is Good, Greed is Right, Greed Works,” was uttered in the movie “Wall Street,” much was and continues to be written about the economic and psychological impact of greed. Evolution may have programmed us to be greedy, since greed keeps us motivated to achieve a genuine state of happiness, according to Jay Phelan, an economist, biologist, and co-author of Mean Genes. Echoing that thought, some psychologists say greed is the only consistent human motivation. This likely explains the brazenness of Bernie Madoff, Raj Rajaratan and, now, the seven defendants recently charged in the U.S. District Court in Manhattan by Federal authorities with securities fraud involving insider trading. Bottom line: While greed may indeed drive us in ways that have positive effects on behavior, it also has proven to wreak havoc and shatter lives. Most of us want to work for a boss that is kind and fair. Paradoxically, however, when looking for a leader we also equate kindness with weakness, and selfish aggressive behavior with strength, according to a recent study conducted by researchers at the Kellogg School of Management, Stanford Graduate School of Business and Carnegie Mellon University’s Tepper School of Business. This is an explanation, at least in part, of why we get corruption. People who are more likely to be moral, kind and pro-social are least likely to be elected to leadership roles, and the likelihood of corruption and malfeasance increases because we have the wrong people in positions of leadership. Indeed, these findings on how we perceive dominance and weakness (when it comes to leadership) are likely what is behind the frustration and anger of the “Occupy Wall Street” protesters. The news of outrageous salaries and bonuses for CEOs and the government using taxpayer money to bailout big banks is all too familiar, while many average citizens cannot find work or have to work more for less pay. Joe Dear, chief investment officer of California Public Employees’ Retirement System, said recently that people are waking up to the fact that the game appears to be rigged. A helpful first step for fairing up the game may be to begin viewing kindness, fairness and altruism as strengths in business leaders, and selfish behavior as reason to look for a new CEO. 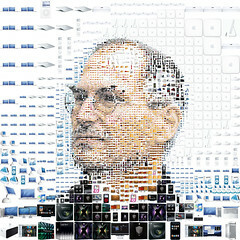 This week Apple, Inc. founder Steve P. Jobs passed away from pancreatic cancer. He was 56. While Jobs’ death sparked a global media frenzy, his passing did not go totally unexpected. In fact, the former Pixar CEO had a couple of health scares in the past, even taking a leave of absence in 2009 when he underwent a liver transplant. During that time, Apple shares dropped nearly three percent, slashing roughly $10 billion off the company’s value. Apple’s stock fluctuated on Thursday after Job’s death was announced but held positive at the close. Apple’s stock today closed down a little more than two percent. News on the street, however, is that investors already factored in the fact that Steve Jobs wasn’t going to be around at Apple for the long run. The trouble with iconic executives such as Steve Jobs, Warren Buffet, Richard Branson and Carly Fiorina is that they’re connected too closely to the company’s brand, putting the organization at risk if they abruptly leave or resign. In addition to stock fluctuations, celebrity executives may affect business decisions as in the case with Fiorina who stepped down as HP’s CEO in 2005 amid a firestorm of negative media coverage. The consensus of business experts is that CEOs are best to avoid the spotlight and focus interviews on the company rather than themselves. This may be true of Jobs, but his celebrity always took center stage and he was seen as the true heart and soul of the company. The transition has begun as Tim Cook officially took the reins from Steve Jobs last month. Maybe he was being groomed all along? Who knows? The reality is that companies with rock star CEOs need to take heed and start planning some kind of legacy strategy to circumvent any potential future hiccups. Mr. Market can be a fickle creature. And it’s often during these times that a company’s phone and email might become flooded with “comments” from individual investors seeking solace from market trepidation. Questions range from the typical stock price related question to business fundamentals, while other “questions” can border on the absurd. Given the current environment, I thought I would share some tactics on improving retail shareholder relations. In investor relations, sometimes it is difficult to know retail shareholders. I have found that one of the easiest ways to get to know them is by attaching a link on a company press release to an online sign-up form (double opt-in) that automatically stores their information in a database or company website. I then focus on building this opt-in list through a variety of additional methods so that I can engage it for on-going communications. Sending an email following a conference call or investor conference presentation and thanking people for participating can enhance loyalty. Investing is often a solitary experience, and returning calls promptly will help distinguish a company’s IR program from others. When I receive calls from individual investors, I’m sometimes surprised by their lack of knowledge of the company they put their hard earned money into. Maybe they just got a tip from somewhere or someone, but I have found that many investors have not even listened to a readily available webcast or read a quarterly or annual report. To solve this problem, we have found that it’s quite helpful to ultilize the power of video to provide a company overview. Encouraging investors (who otherwise might not be as vocal) to share their thoughts through an online survey can be an effective way to understand how a majority of retail investors think and feel about a company and its management team. While there are a host of additional methods a company can employ to improve its relationship with retail investors, the ultimate goal is understanding how to communicate effectively with shareholders. After all, the more Mr. Market knows, perhaps the less fickle he will be. Please feel free to contact me at msheldon@pondel.com for more information about communicating with retail investors.